In one corner of the exhibition room, there is an old rainwater barrel – half a barrel in fact. Nothing particularly special, in itself. 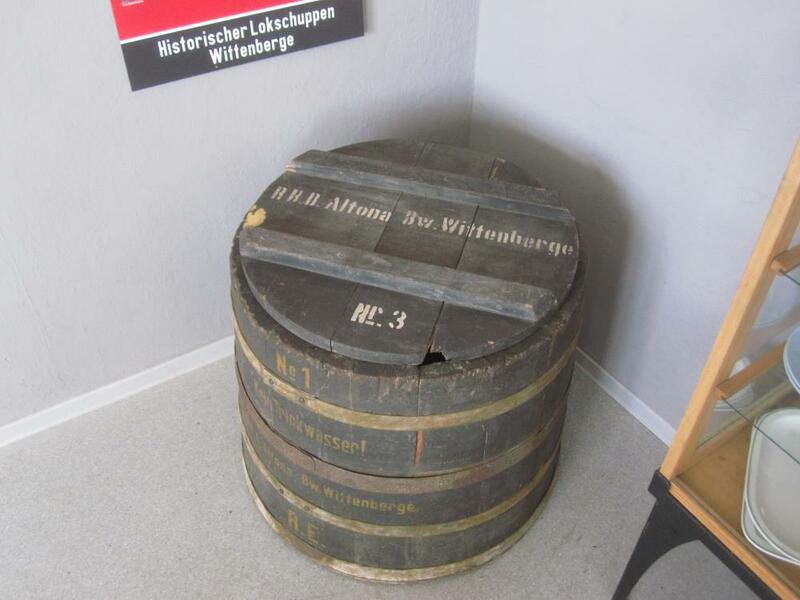 The exhibit is of interest due to its inscription which reads "Bw Wittenberge, RBD Altona". So it is a silent witness to an era lasting until the end of WWII, in which the motive power depot was administratively part of the railway district controlled by the regional headquarters at (Hamburg-) Altona.